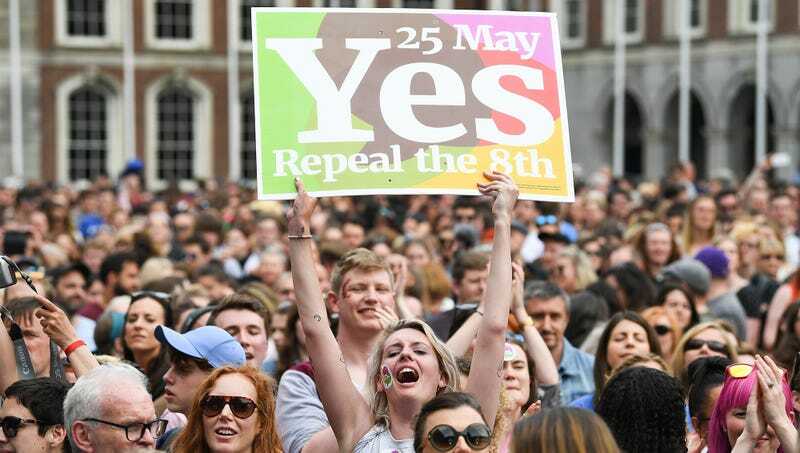 DUBLIN—Predicting pregnant women will visit their clinics in droves, physicians in Ireland confirmed Tuesday they were bracing themselves for the wave of fetuses that will be aborted 12 weeks after the festivities held to celebrate the landslide referendum that struck down the nation’s abortion ban. “When late August rolls around, our waiting rooms will be overflowing with women, every last one of them seeking to terminate a pregnancy,” said Dr. Aileen McGuire, adding that she has cleared her schedule so she can help her colleagues abort the thousands upon thousands of fetuses reportedly conceived after a wild night spent commemorating the constitutional change, which opens a legal path to first-trimester abortions. “The repeal of the Eighth Amendment was a joyous occasion, I get that, but the way things are looking now, we’re going to be absolutely up to our knees in fetuses. In fact, we’ll most likely have to enlist the full-time help of every doctor from every hospital in the country, because that’s the only way we’ll ever get through all these abortions.” Ireland’s Department of Health estimates the wave of aborted fetuses should peak by early autumn, at which point people requiring medical services other than the termination of a pregnancy should once again be able to get an appointment with a doctor.